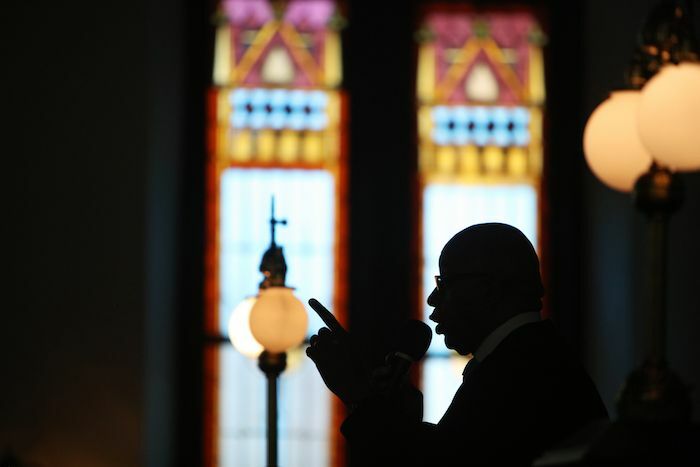 Two churches — one black and the other white — have been divided for more than 150 years. Two pastors are trying to change that. 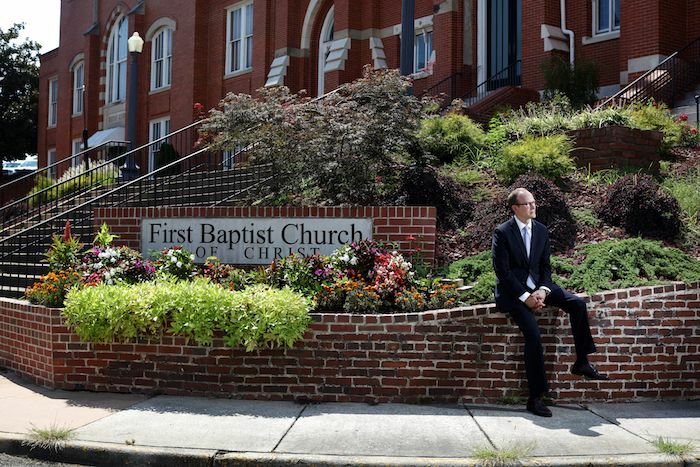 How the black minister of a First Baptist church and the white minister of the other First Baptist church in Macon, Georgia, are working to heal racial divisions and transform community. The two churches sit two blocks apart. They both call themselves First Baptist. The same architect designed both buildings. 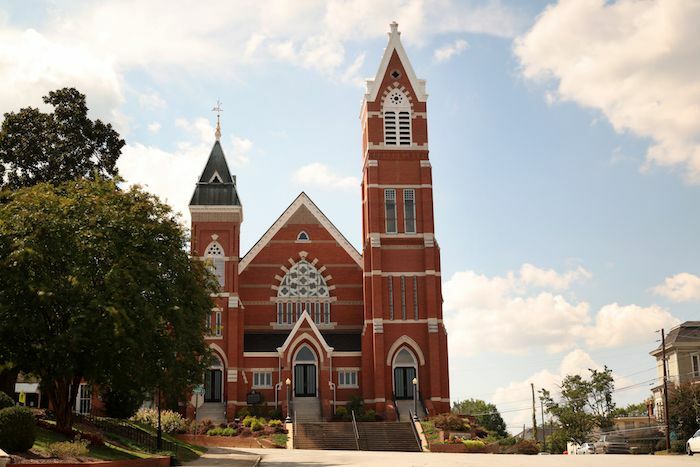 The congregations share a common history that goes back almost as far as this central Georgia city itself. But one church is black, and the other is white, and that has kept them divided for more than 150 years. The Rev. Scott Dickison and the Rev. James Goolsby are trying to change that. 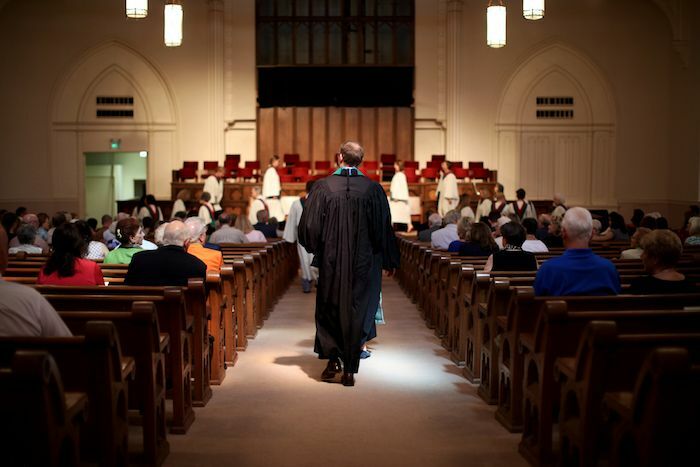 Dickison (’05) is pastor of the white First Baptist — officially, First Baptist Church of Christ. Goolsby is pastor at the black First Baptist. 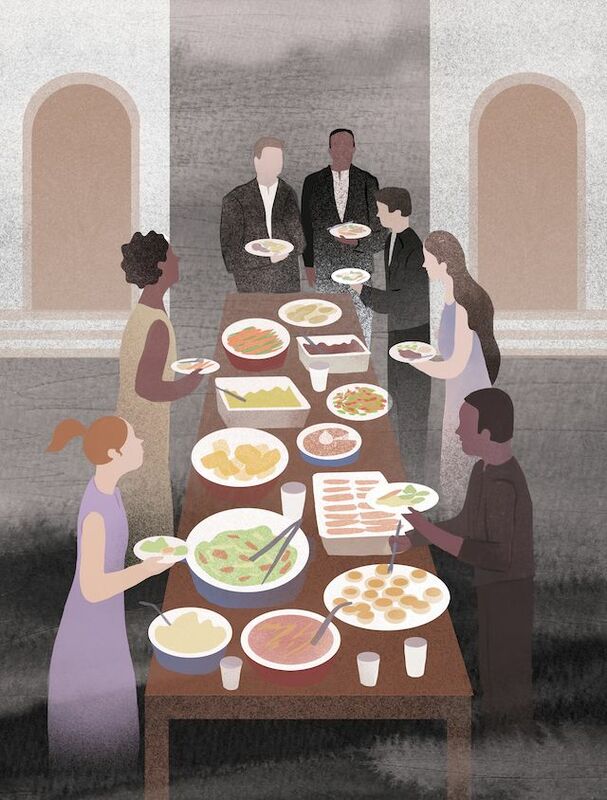 For the last two years, they have brought their congregations together for events as simple as an Easter egg hunt and as profound as a series of deep conversations about race and privilege. Their work has led the churches into difficult places and revealed long-buried facts. Sometimes, the members have discovered, history depends on who’s telling the story. But both pastors think knowing the truth, and saying it out loud, is worth the effort — and not just for the congregations. Almost 60 years ago, the Rev. Dr. Martin Luther King Jr. said that 11 a.m. Sunday is the most segregated hour in Christian America. In a lot of places, that’s still true. But the two First Baptists hope to turn their little square of the world into common ground. He began to doubt the depths of his faith. He wondered if he had taken the wrong path. Then he took a class from professor Jay Ford. Ford assigned a reading from “Dynamics of Faith” by the philosopher and theologian Paul Tillich. In that book Tillich says doubt is a part of faith – if we had all the answers, he says, there’d be no reason for faith to exist. When Dickison read the words, sitting in his bedroom at home, he started to cry. He found new strength in his faith. He still thought he’d teach instead of preach, even after graduating from Wake and Harvard Divinity School. 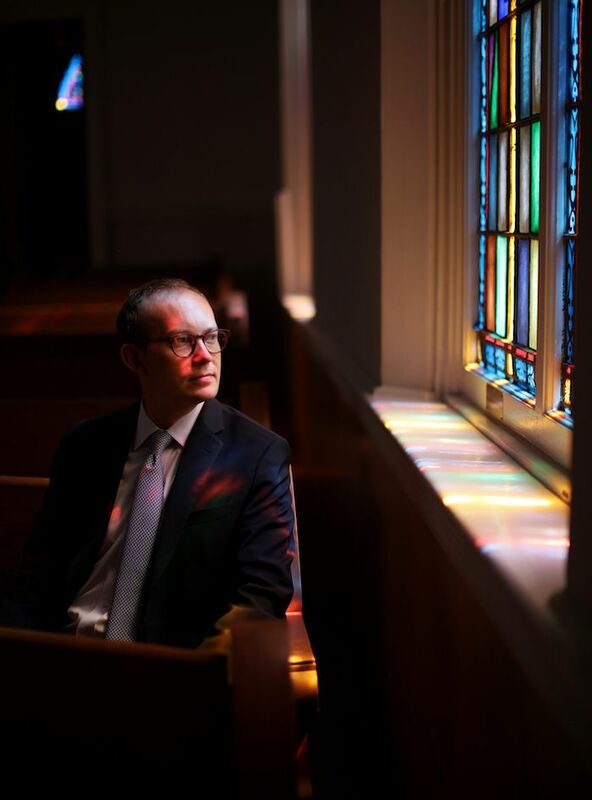 But as he looks back, those first classes at Wake pulled him toward being a pastor. 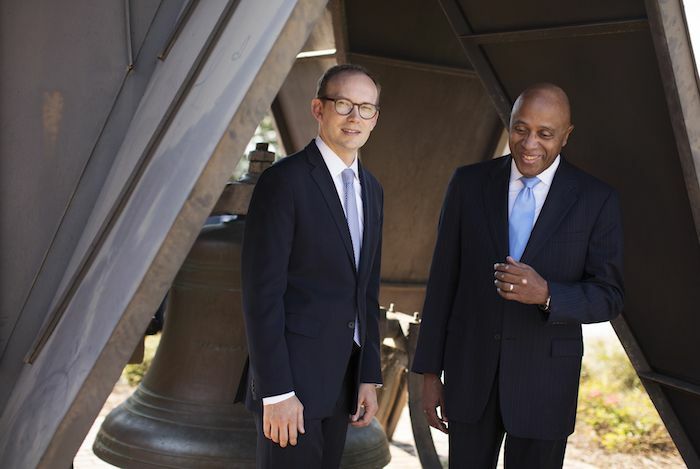 Their deeper friendship began with a nudge from the New Baptist Covenant, a group formed by former President Jimmy Carter to bridge racial and theological differences among Baptists. A Wake graduate named Hannah McMahan (’06, MDiv ’09) is executive director of the New Baptist Covenant. She suggested that Dickison and Goolsby find ways to bring their churches together. That’s when the two pastors started hearing the different stories about their churches’ shared history. The original First Baptist in Macon was founded in 1826, just three years after Macon became a city. As in many Southern churches back then, slaves and slave owners attended the same churches. At First Baptist, black worshipers had to sit in the back. One early head count showed 283 black parishioners and 199 whites. In 1845, the church bought land and black members moved to a new church there. The white First Baptist, according to Dickison, has always told the story that the black members asked to worship separately. It’s more likely that the white members led the separation. A pastor for the white First Baptist continued to do communion and baptisms for the black worshipers. White members considered that evidence of a unified church: “the benevolent overlord fiction,” Dickison says. The truth was that in Georgia — as well as most other slave-owning states — it was illegal for black people to congregate without a white overseer present. The churches officially split in 1865 as the Civil War ended. Both churches occupied different spots around town for a while. The white First Baptist settled in its current spot in 1887. The black First Baptist moved into its current home 10 years later. They have stood a few hundred steps apart for 120 years. Today a few black members attend the white First Baptist, and the occasional white visitor shows up at the black First Baptist. Folks often show up at one thinking it’s the other. A couple of earlier pastors swapped pulpits from time to time in the 1970s, and the congregations worshiped together briefly in 2001, after 9/11. Otherwise, the churches haven’t had much to do with each other. Dickison and Goolsby started changing that when they went to a New Baptist Covenant meeting in early 2015. 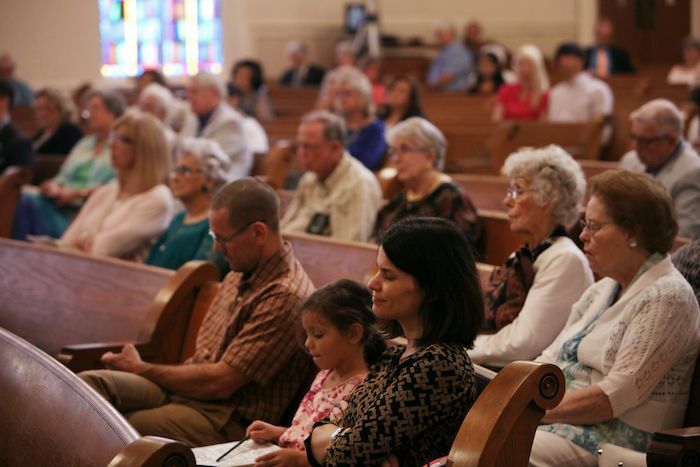 They gathered their congregations together that May for a shared Pentecost service, where the churches promised to work together in worship and fellowship. Less than a month later, a young white man named Dylann Roof killed nine black parishioners at Emanuel African Methodist Episcopal Church in Charleston, South Carolina. Dickison called Goolsby on the phone that day, torn up over the shootings, wondering what he could do. We’re already doing it, Goolsby said. A few months later, as the white First Baptist got ready for its annual youth trip, they invited members of the black First Baptist to come along. But the trip was to Orlando, and Goolsby didn’t want his son to go. He thought about Trayvon Martin — the black teenager gunned down by a white, neighborhood-watch volunteer in Florida in 2012. Goolsby thought his son, with a hoodie on, looked like Trayvon. 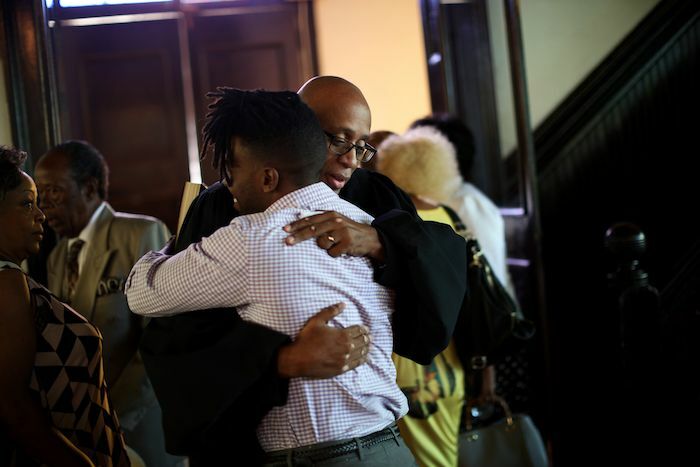 David Cooke — a member of the white First Baptist and district attorney for Macon-Bibb County — promised to watch over Goolsby’s son personally. The trip went fine, and it gave both churches fuel to keep trying new things. 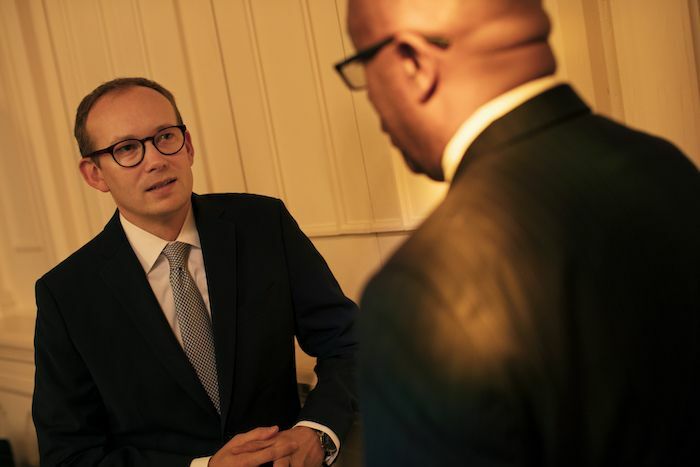 In 2016, the two churches met for three long sessions to discuss race — not just in the history of the country, but in the history of the two First Baptists. Members of both churches shared potluck meals, sat around tables in small groups and talked about how race had shaded their lives. The wounds did not magically heal afterward. The two churches are not planning to merge. But now members from both churches are having coffee together, or spending time at one another’s homes. Connie Jones, a member of the white First Baptist, met Bea Warbington-Ross, a member of the black First Baptist, at one of those discussions. They discovered they lived on the same street, just a few blocks apart. They’ve been friends ever since. This past summer the two pastors, along with several members from both churches, went to a conference at Duke University. Dickison and Goolsby switched cars and rode with members from the other church. A night or two later, in the hotel lobby, many in the group watched the NBA Finals together. Macon is the kind of place that gives hope to someone in search of racial peace. It’s the home of so much music that has brought people together. Little Richard grew up here. Otis Redding lived here. The Allman Brothers moved here in the ’60s, not yet famous, broke as dirt. Louise Hudson, who helped run a soul-food place called the H&H, gave them food when they couldn’t pay. When they made it, they took her on tour. Otis Redding’s band was interracial, and so were the Allman Brothers, and in the music you can hear where blues and country and jazz and soul blend into one sound, a sound the South makes through all its beauty and agony and contradictions. The South still owns the beauty and the agony and the contradictions. Those tensions have bled across the country and into the present tense. We have white supremacists marching around with a second wind. We have governments across the South, and in other states, deciding what to do with all these statues and streets honoring the old Confederacy. Macon has two statues of its own downtown, and city leaders are trying to decide whether to move them. It’s not the easiest time to reconcile the divisions that kept the two First Baptists apart for more than a century. But there’s no better time. On a steamy Sunday morning in August, both pastors preach about Jesus’ travels. At the white First Baptist, Dickison talks about Jesus’ journey into Gentile areas north of the Sea of Galilee. At the black First Baptist, Goolsby talks about Jesus’ trip into Samaritan areas to the south. They haven’t coordinated their sermons. But both of them touch on the same theme: how powerful it is to reach across borders. In the meantime, the two pastors eat a lot of lunches together. They have a favorite spot. It’s right down the hill from the white First Baptist and basically next door to the black First Baptist. The H&H is still around, and you can go in there and get a meat and three, and look at the pictures of Otis and the Allmans, and think about the two churches on the other side of the wall, and have yourself a little taste of hope. Tommy Tomlinson, who lives in Charlotte, has written for Esquire, ESPN The Magazine, Garden & Gun and many other publications, and he has taught magazine writing at Wake Forest. You can reach him at tomlinsonwrites@gmail.com.